#BeenToTheMovies: Tasty new poster for THE ICE CREAM TRUCK - premiering on VOD August 18! 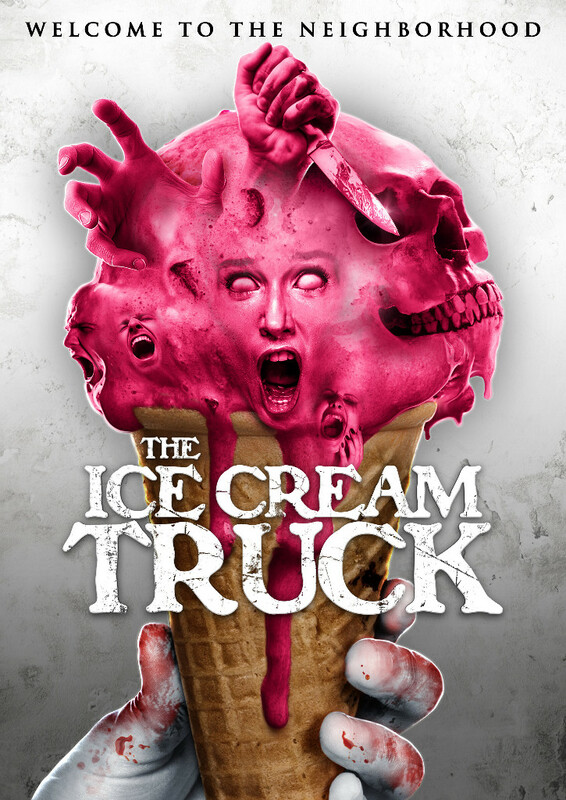 Tasty new poster for THE ICE CREAM TRUCK - premiering on VOD August 18! Writer-director Megan Freels Johnston’s suburban nightmare The Ice Cream Truck will hit theaters August 18 and be released day-and-date on VOD via Uncork’d Entertainment. A new trailer and poster have been released to coincide with the release. The provocative psychological thriller stars Deanna Russo (Being Human, Gossip Girl) as Mary, who moves back to her suburban hometown after her husband gets relocated for work. As her family ties up loose ends back home, she moves into their new house alone. And although the move makes Mary nostalgic for her youth, there’s something very sinister about that Ice Cream Truck that patrols her suburb. The Ice Cream Truck also stars Dana Gaier (Despicable Me 3), John Redlinger (Thirst, Banshee), Emil Johnsen (Isolerad), Hilary Barraford (Go For Sisters), Jeff Daniel Phillips (31), and Lisa Ann Walter (War of the Worlds). Storytelling is very much in Freels Johnston’s DNA. The granddaughter of legendary crime writer Elmore Leonard, The Ice Cream Truck screenplay was a semi-finalist in the Circus Road Screenplay competition. As a producer developing material for over a decade, Freels Johnston worked on adaptations of her grandfather's work and produced Sparks, the directorial debut of Joseph Gordon-Levitt. After completing a project for the USA Network, she decided to follow her passion and write and direct her own material. Her first film, 2014’s micro budget thriller Rebound, developed a cult following on VOD, was called, “Almost David Lynchian in its strangeness” by Film Threat and Rue Morgue said, the film "(was) worth watching to the end for the unnervingly realistic twist ending." The Ice Cream Truck will be released in theaters and on VOD August 18.